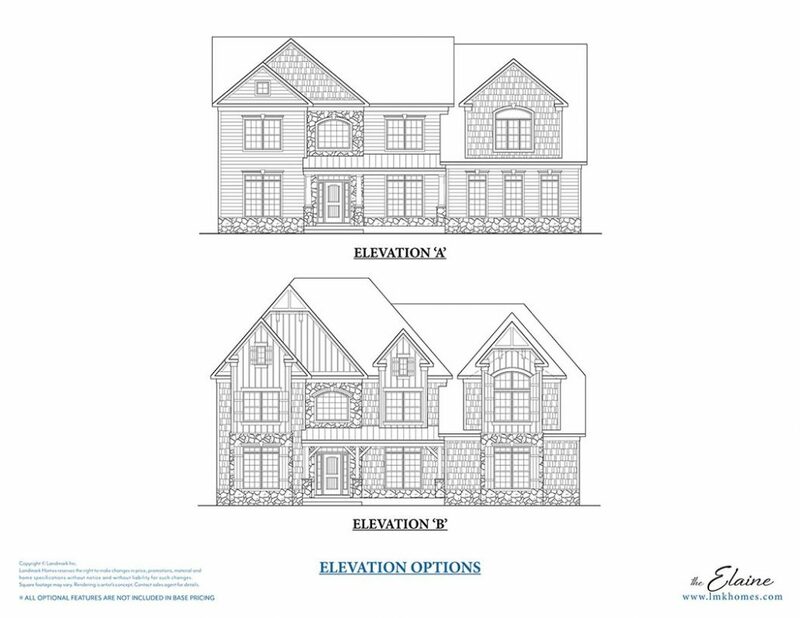 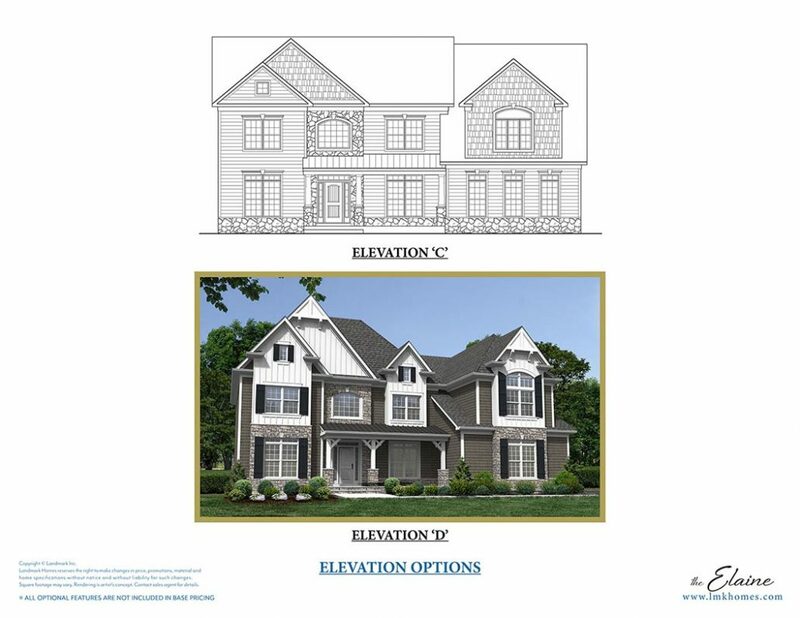 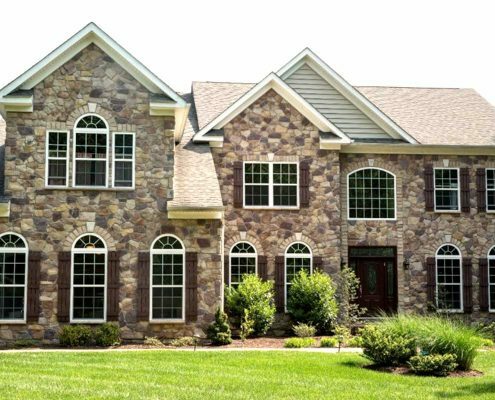 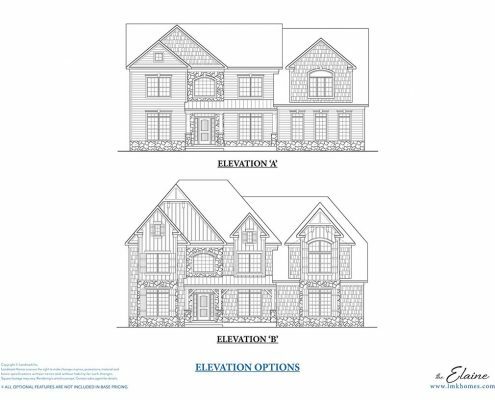 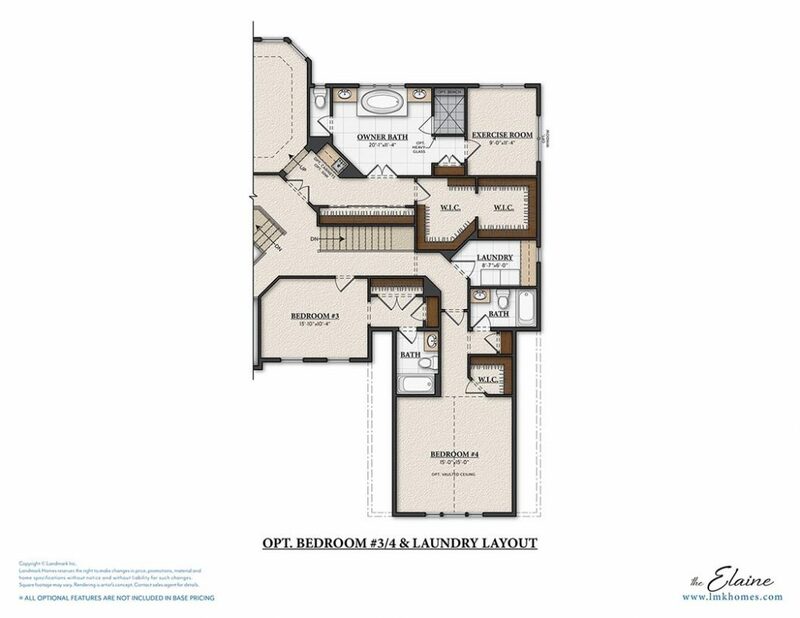 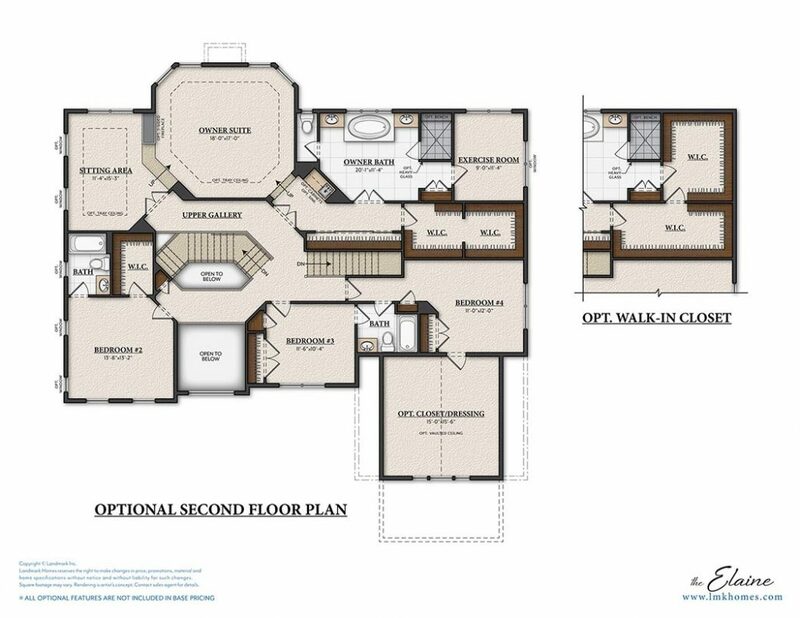 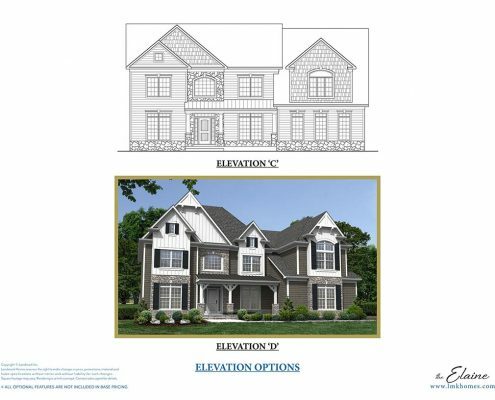 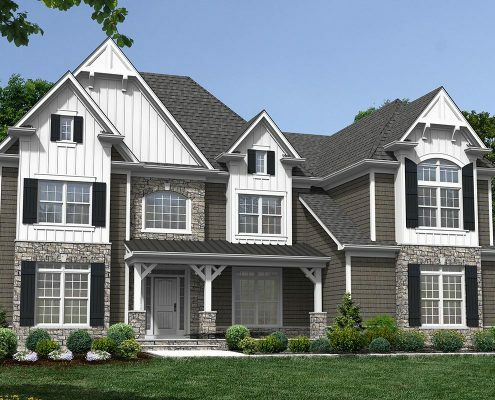 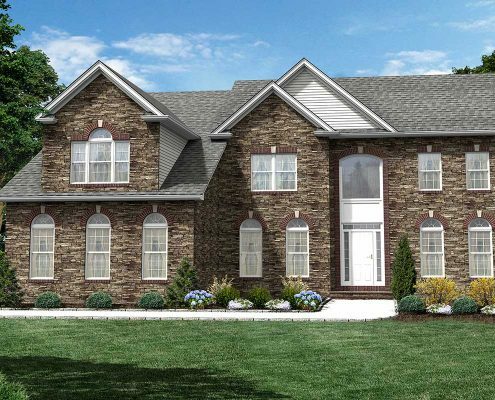 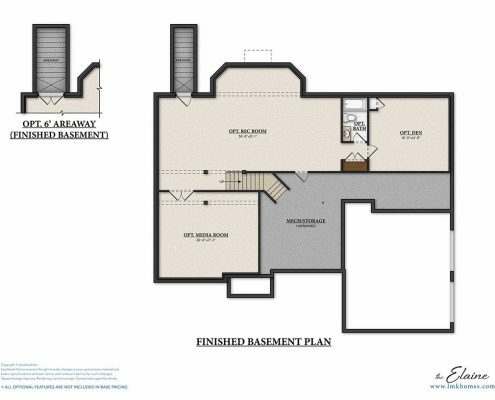 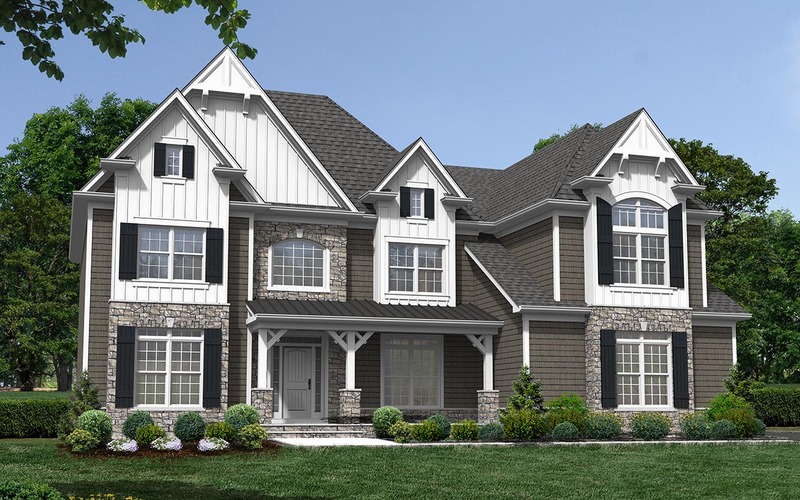 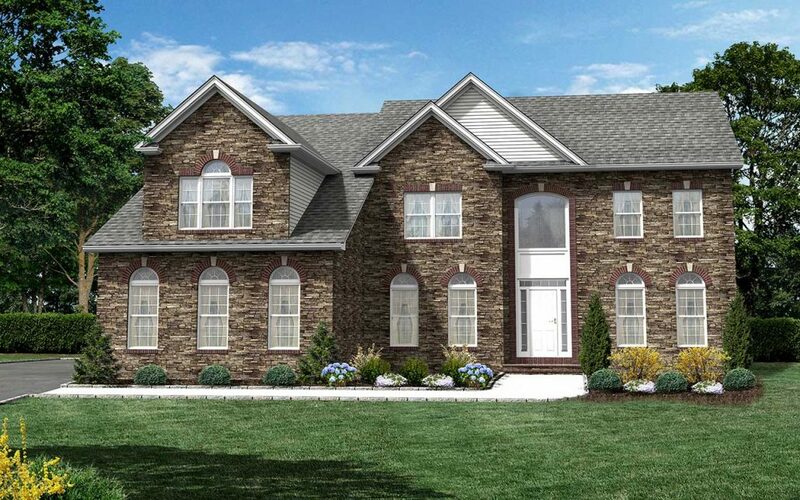 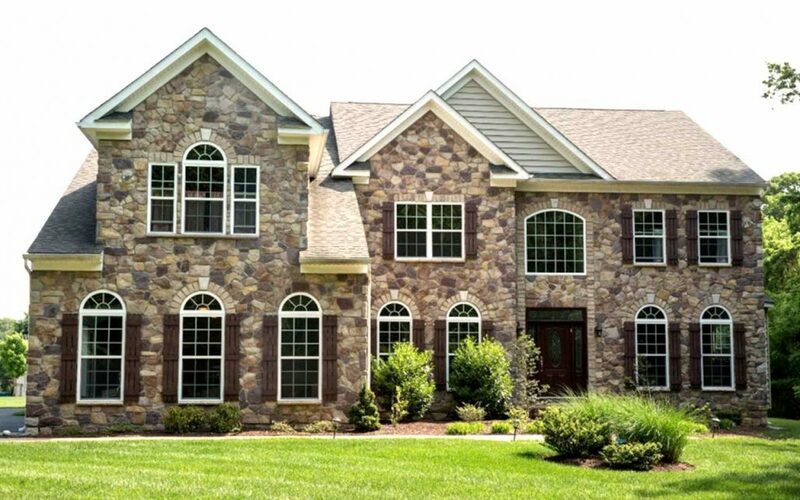 A favorite of Landmark’s homeowners, The Elaine is the most popular design in this size range with a striking first-floor plan that includes living room, family room and dining room, along with a beautiful gourmet kitchen and breakfast nook. 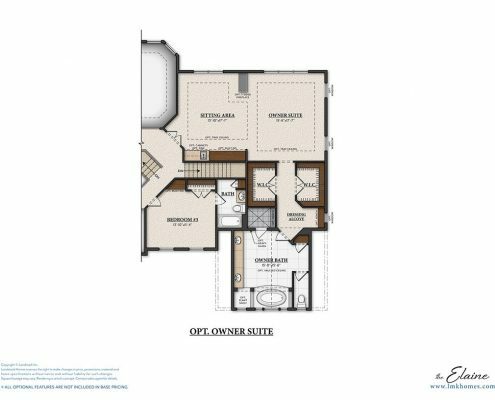 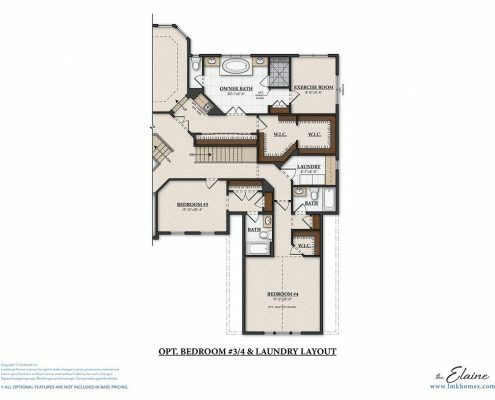 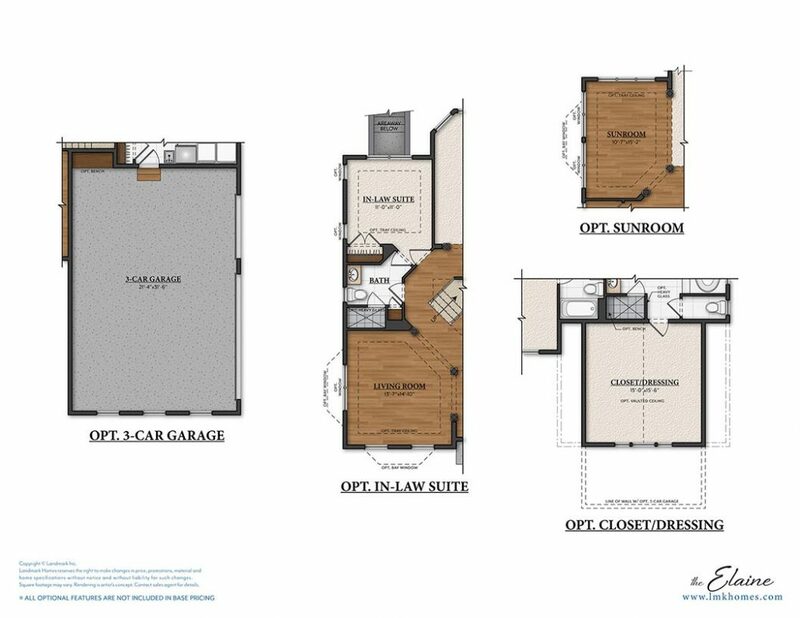 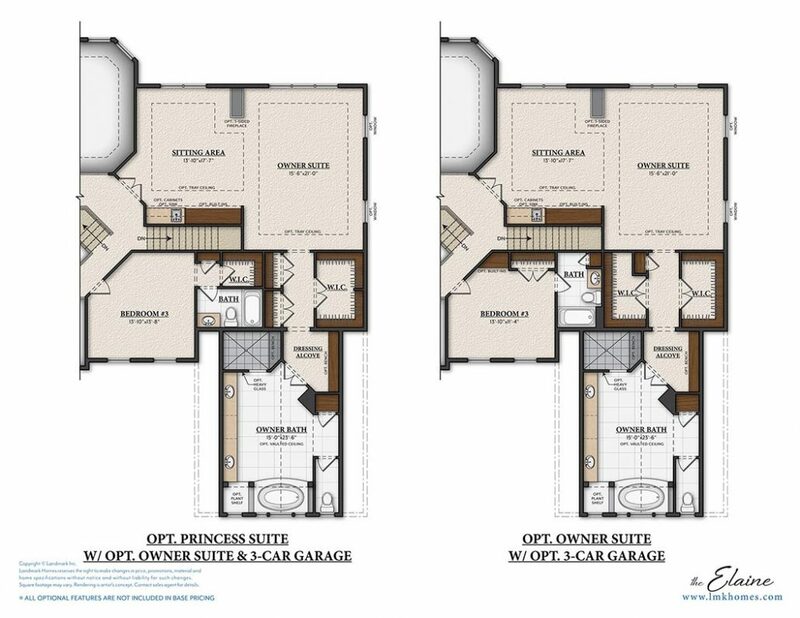 An optional in-law suite on the first floor comes with its own bath and closet space. 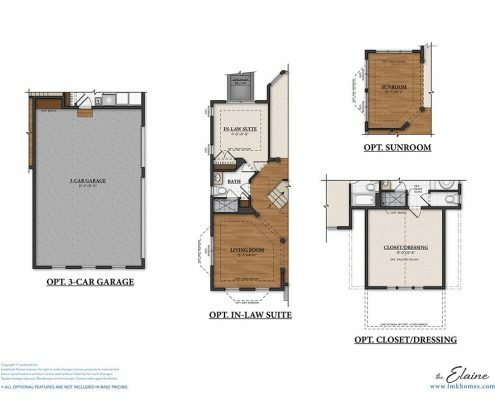 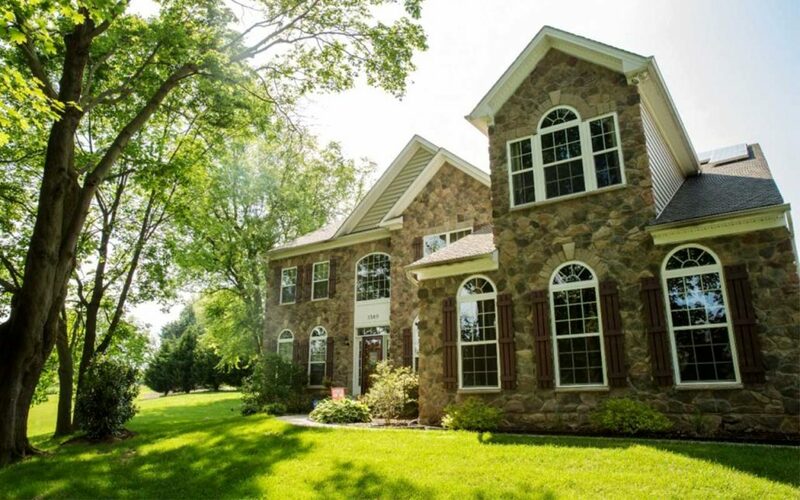 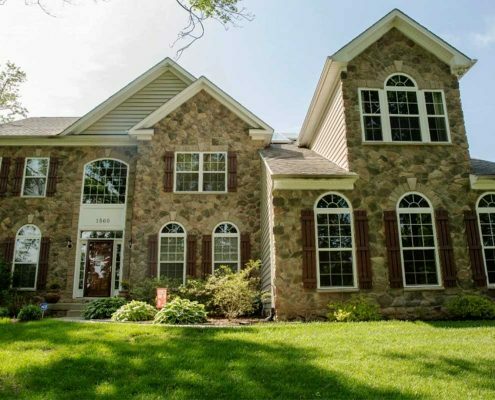 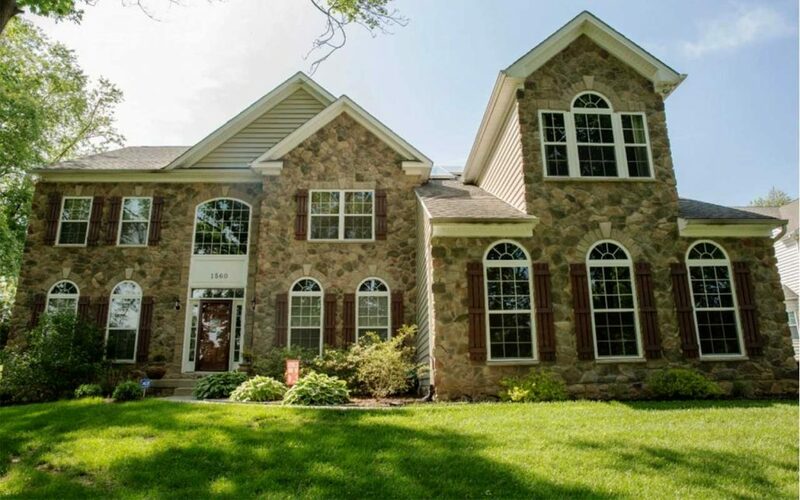 Upstairs, the home shines with four bedrooms that include an incredible owner’s suite, complete with sizeable sitting area, owner’s bathroom and walk-in closets. 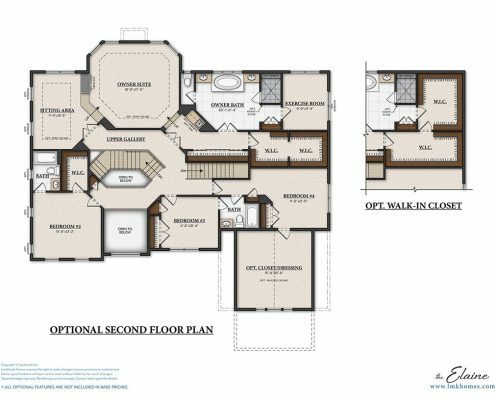 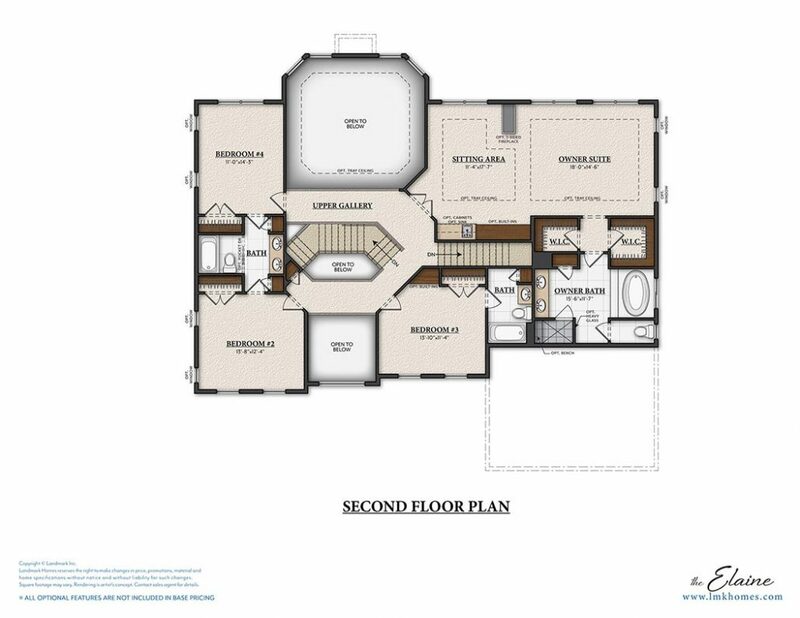 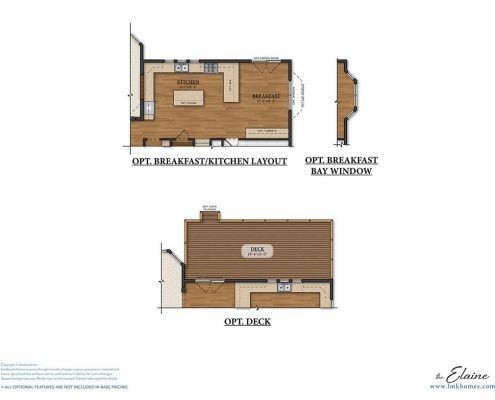 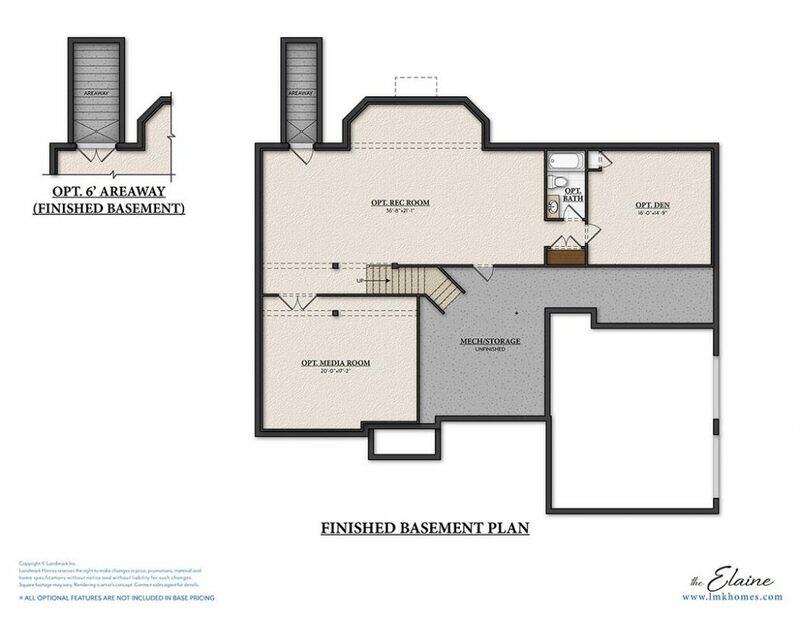 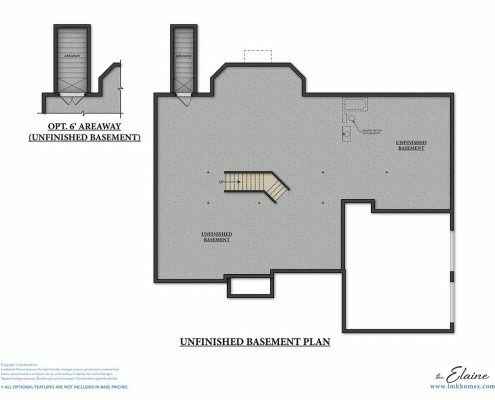 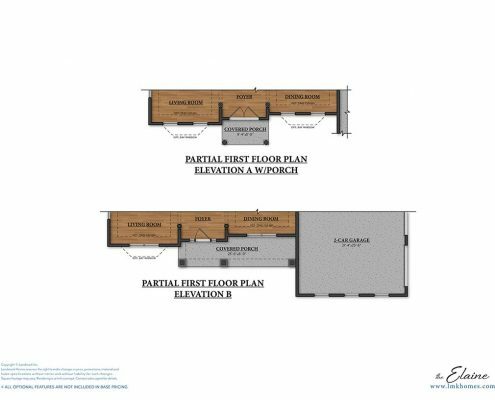 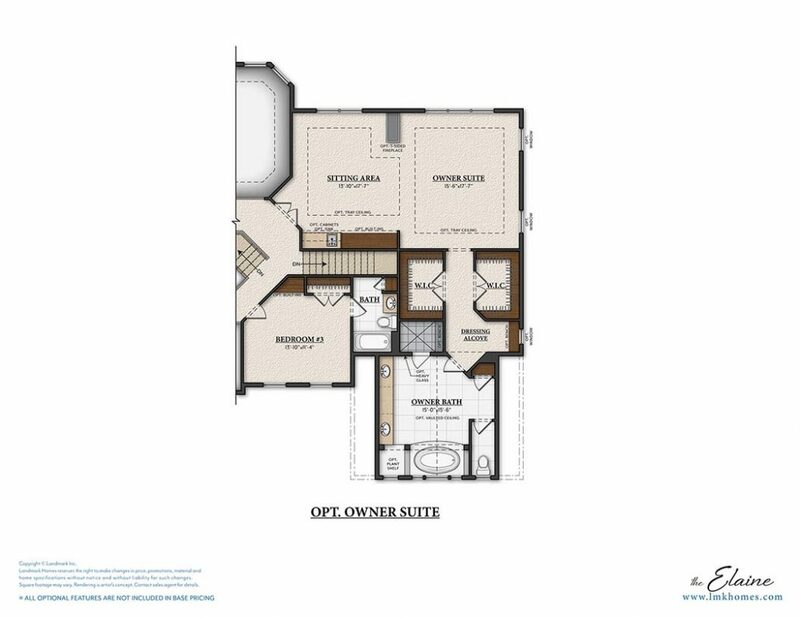 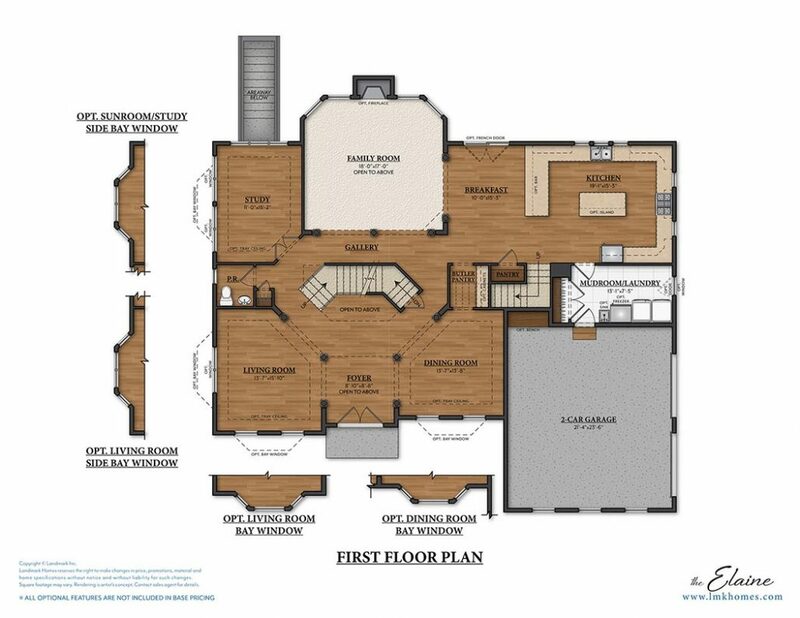 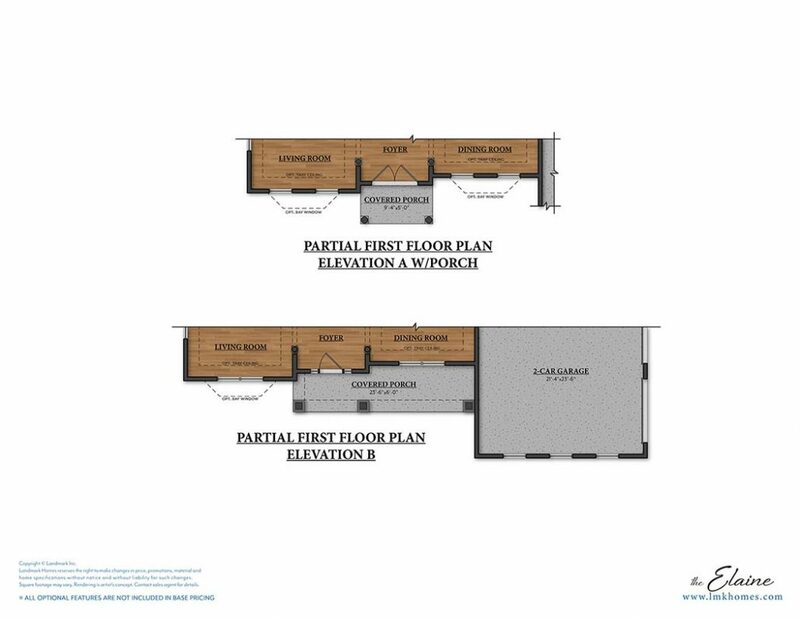 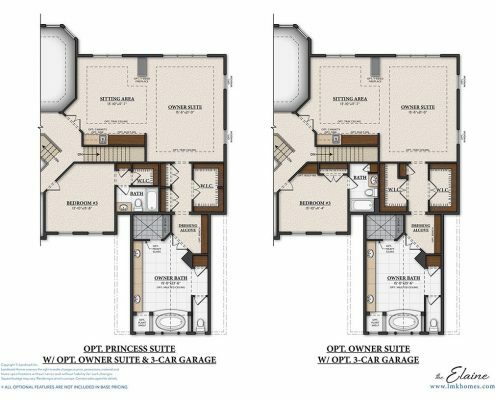 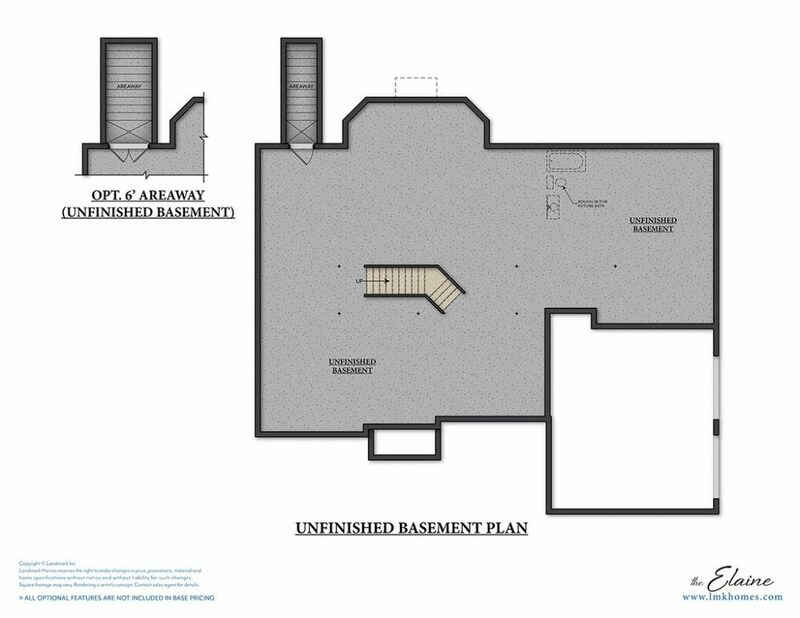 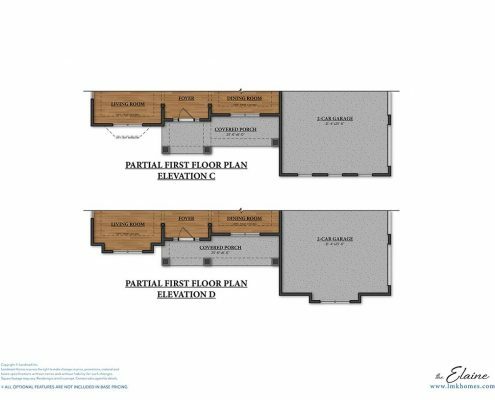 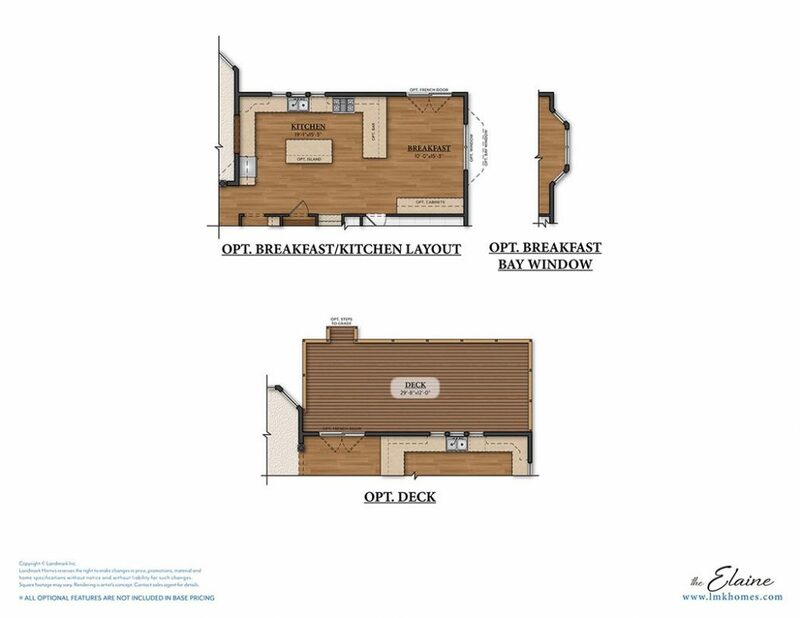 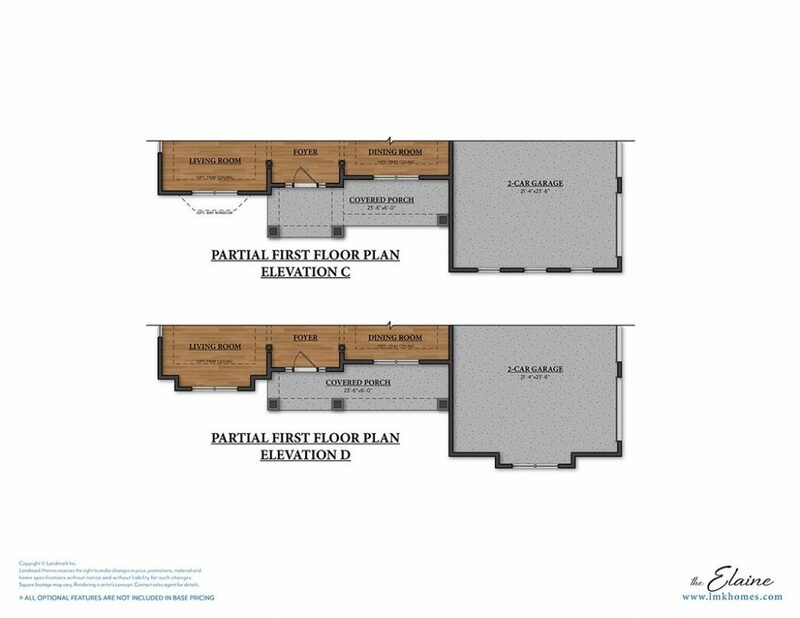 Multiple variations and options on the floorplan are possible. 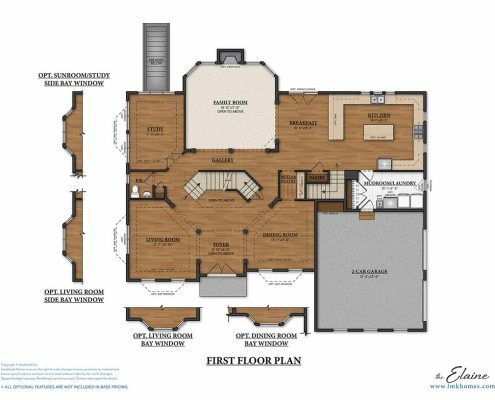 Design your custom Elaine here!